I’ve been gone for a few weeks because I made a trip out to Kansas with my daughter, Miss M to see my son & his family (grand babies!). 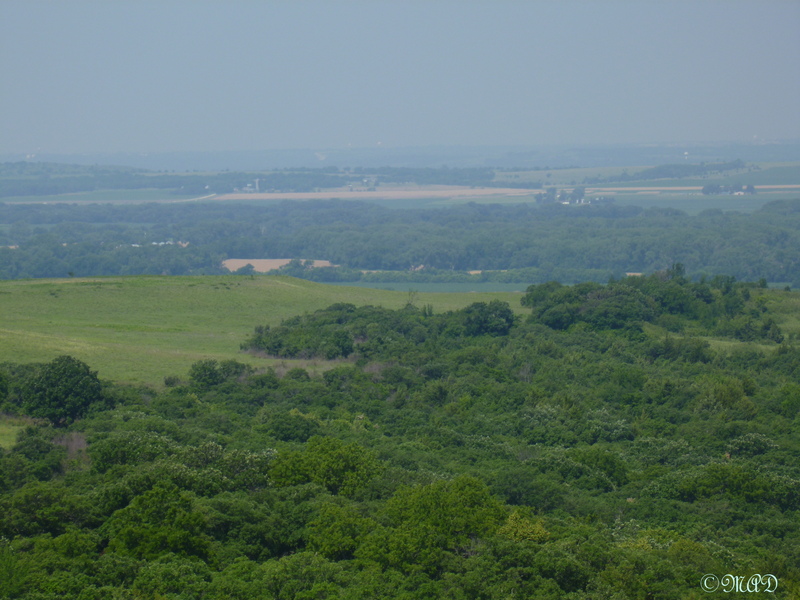 If you’ve never been to Kansas, you’ve missed seeing rolling prairie for as far as the eye can see with limestone fossil outcroppings. My son mentioned to me that we were very near the center point of the USA – smack dab in the middle of it, actually. Last year the land there was scorched and brown because of the drought. But this year it was a beautiful green and farmers were harvesting the winter wheat, the amber waves of grain. It was exactly as the song depicts it. 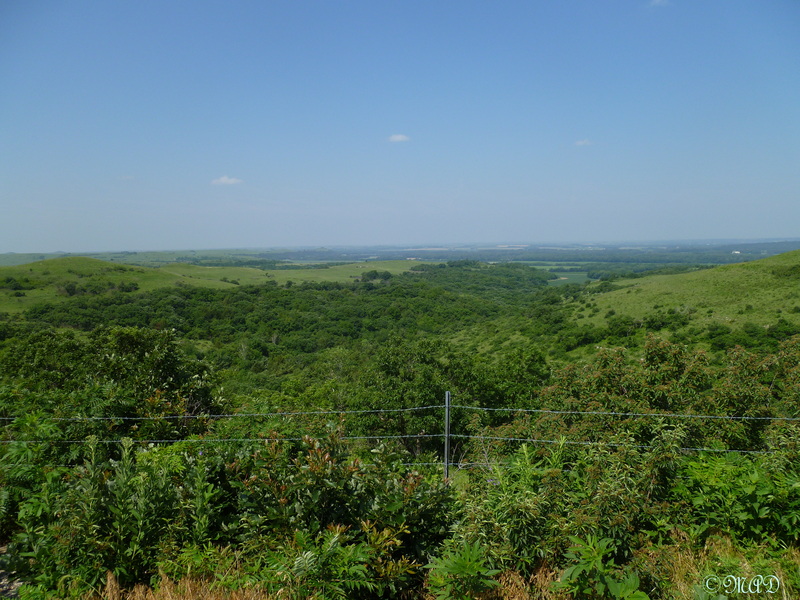 This is a scenic view lookout point located south of Manhattan, Kansas (yes, it’s named after Manhattan, New York) on State Road 177. 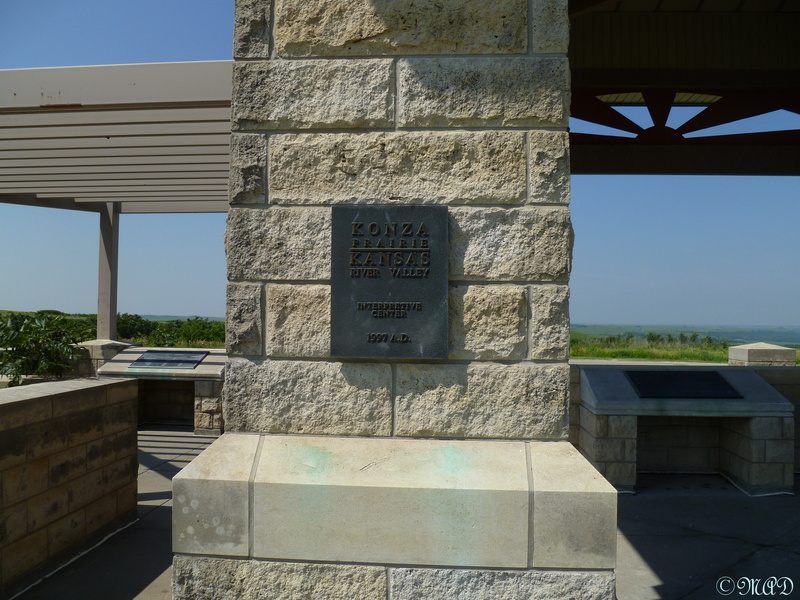 It gives a view of the Great Tallgrass Prairie in the Kansas Flint Hills. 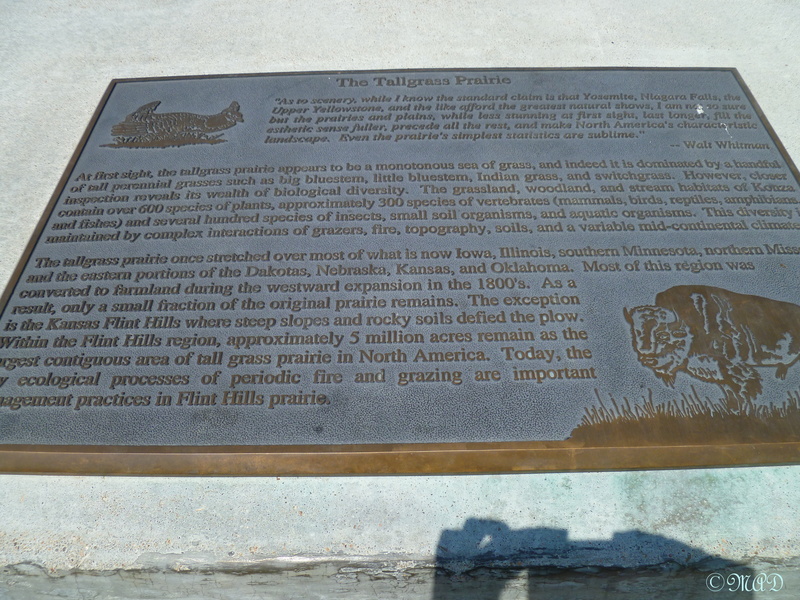 As the plaque says, “It is the largest contiguous area of tall grass prairie in North America.” The photos do not do it justice, you have to be there to really take it in. Traveling across Kansas is not for the faint of heart, as it is a long state, width-wise, to travel across. I remember driving across Kansas with my husband, before children, and the speed limit was 55 mph. It seemed to take forever to get to Colorado and on to Utah. Now, on the Kansas toll road, the speed limit is 75 mph and all other parts of the interstate are 70 mph. We really zipped along to our destination! This entry was posted in Kansas Travel and tagged amber waves of grain, Great Tallgrass Prairie, Kansas, kansas flint hills, prairie, tallgrass, wheat. Bookmark the permalink.